Guatemala is blessed with some amazing habitats for birds, from the steaming volcanoes of the highlands of southern Guatemala to the hot jungles of the Mayan empire. Birding in Guatemala is an unforgettable experience. We arrive in the cool of Guatemala City. Located at 1500 meters, this altitude ensures that evenings are cool and days are pleasant. We will meet you at the airport and take you to our hotel for the night in the pleasant town of Antigua Guatemala, the once thriving capital, before it was destroyed by an earthquake in the 1700s. Rebuilt, it is now again a thriving city with the old-world charm of yesteryear. 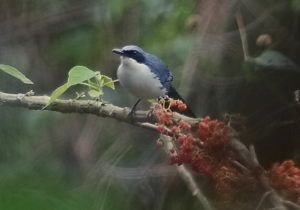 Today we start with some local birding up the mountains surrounding Antigua Guatemala, at Finca El Pilar. 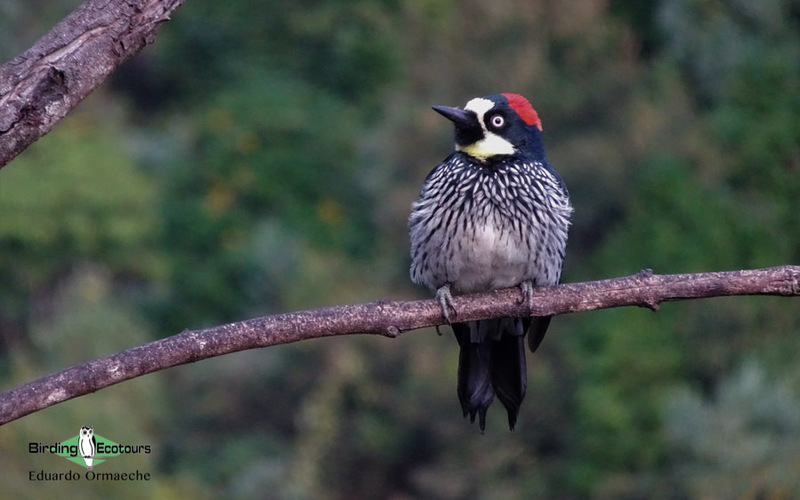 We will get a taste for some classic Guatemalan birds in the dry forest up here, like Blue-throated Motmot, Collared Trogon, Rufous-collared Thrush, Red-faced Warbler, and Black-capped Swallow. The mechanical and musical song of Brown-backed Solitaire echoes through the woods, and we will check through the many flycatchers here. 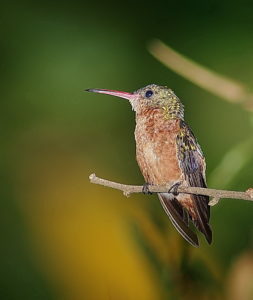 We’ll also stop on the way down to check some hummingbird feeders, where we might pick up the local, endemic Rufous Sabrewing as well as Blue-tailed and White-eared Hummingbirds. 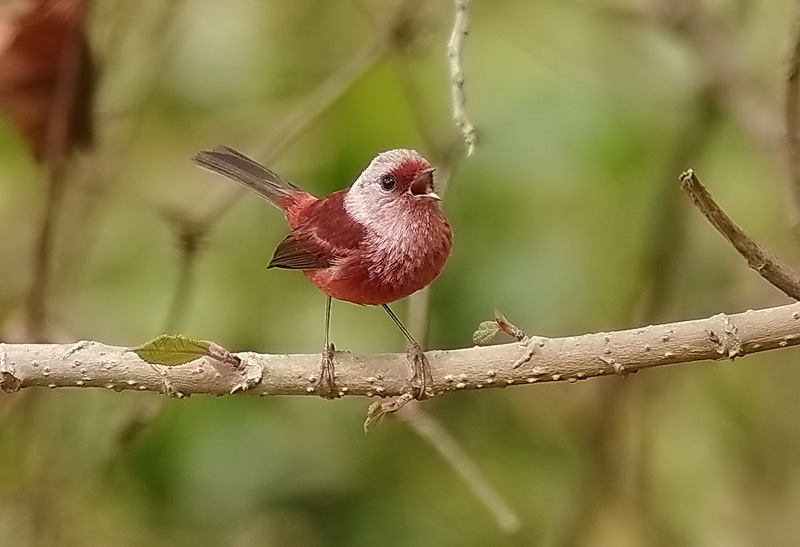 By midday we will visit Tecpán Guatemala to look for the most-wanted Pink-headed Warbler. We will return to Antigua Guatemala for an overnight. 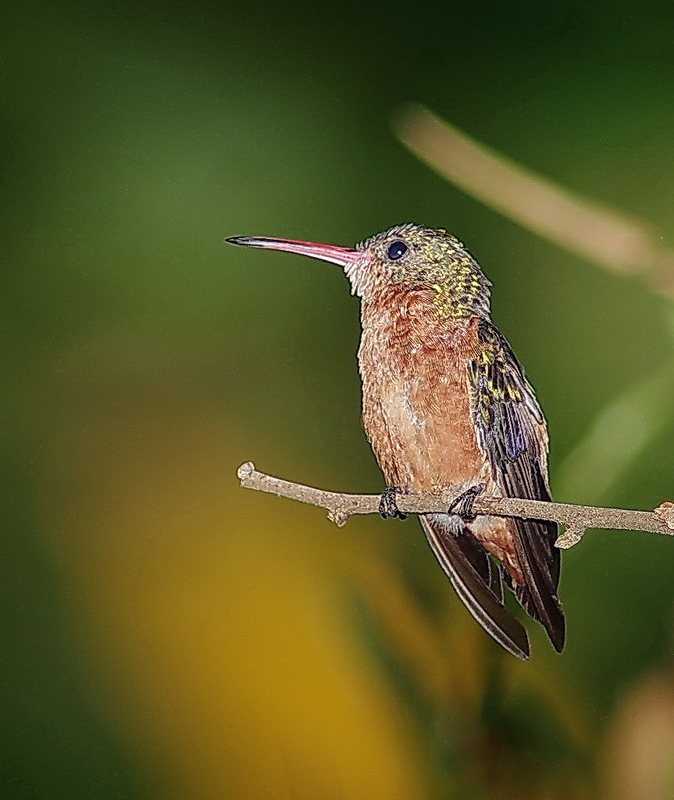 After early-morning birding in the Patrocinio Private Nature Reserve we will head to Fuentes Georginas to look for another localized specialty, Wine-throated Hummingbird. There is also another chance for Pink-headed Warbler, and we hope to find Black-capped Swallow, Garnet-throated Hummingbird, Black-capped Siskin, Ruddy-capped Nightingale-Thrush, and many others along this road. In the late morning we’ll drive to another coffee plantation, Finca Las Nubes, this one on the slopes of the Santo Tomás volcano, draped in pine-oak forest and lichen-covered trees. We will spend the afternoon in the lower reaches of the finca, checking for birds like Bushy-crested Jay, Western Tanager, Rufous-backed Wren, Emerald Toucanet, Hooded Grosbeak, and Elegant Euphonia. After dinner we will take the jeeps high up into the edge of the forest to look for the localized Fulvous Owl. 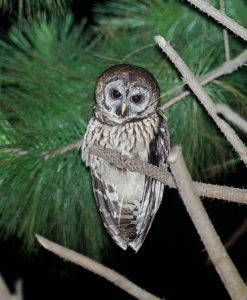 We may also encounter Mottled Owl around the lodge. This morning we rise early to take the jeeps high up into the pinewoods to look for a bird revered by the Maya, Resplendent Quetzal. Their long calls echo through the cool forest, and we’ll take some time to track down one of these stunning birds, whose emerald-green and red plumage, combined with its long plumes, make it a very memorable bird. 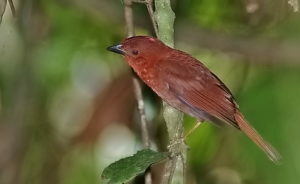 We will also spend some time this morning at one of the many forest overlooks, checking for another endemic, this time in the form of Cabanis’s Tanager.  Its thin song reaches out from the canopy to lure us to its location. We will also spend some time walking some of the forest trails for skulkers like Spotted Wood Quail. 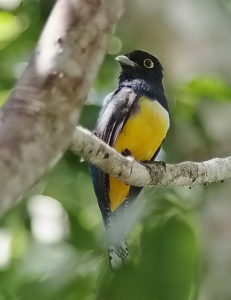 Also in these forests we will find yet another endemic, this time in the bright, yellow-and-black guise of Bar-winged Oriole. Crested Guan, Barred Parakeet, Scaly-throated Foliage-gleaner, Masked Tityra, Blue-crowned Chlorophonia, and several Warbler species can be seen here, like Golden-crowned, Tennessee, Townsend’s, and MacGillivray’s. We will have lunch at one of the overlooks to take in some of the aerial species like Chestnut-collared and White-throated Swifts, Violet-green, Black-capped, and Northern Rough-winged Swallows, and possibly a raptor or two. After lunch we’ll again head for the forest overlooks to check for species we may have missed, like Flame-colored Tanager, Elegant Euphonia, Emerald Toucanet, Golden-fronted Woodpecker, Rufous-naped Wren, Painted Bunting, Paltry Tyrannulet, Slate-throated Whitestart, and Berylline Hummingbird. 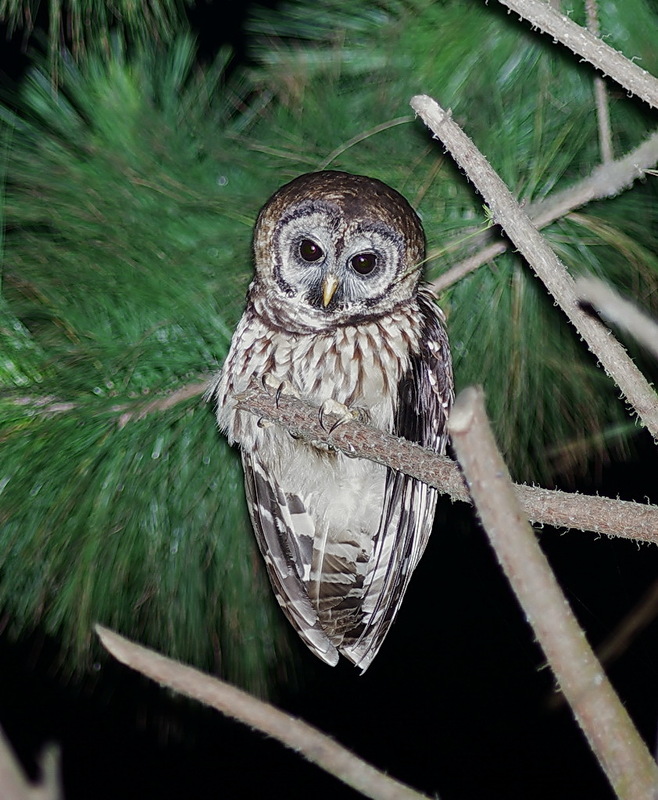 We will do some owling again tonight for Fulvous Owl or Mottled Owl, if we have missed them the night before. We will do some final birding around Las Nubes this morning before heading to Los Tarrales Reserve, an area of lowland forest at the base of the Atitlán volcano. The warm forest here at this fantastic lodge is home to some great species like Tody Motmot, Orange-fronted Parakeet, Long-tailed Manakin, Pine Flycatcher, Red-throated Ant Tanager, Orange-billed Nightingale-Thrush, Gartered Trogon, Scrub Euphonia, and Highland Guan. We might do some night birding for Black-and-white Owl for those that are up to it. Today there are a couple of options. For those of you with a desire to see Horned Guan, now is your chance. 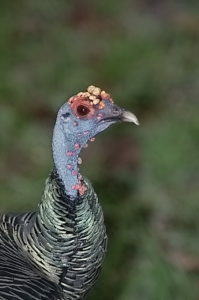 If you want to make the hike, we will leave at 2:30 a.m. after some coffee and biscuits and drive for an hour to the foot of the volcano, where we will begin a three- or four-hour hike up into the habitat of the Horned Guan. We must advise you that this is a tough, strenuous hike at an altitude of around 8 000 to 9 000 feet (2400 to 2700 meters) up the side of a volcano. There is little time for breaks, as we need to be up there at the top at dawn, when the birds are most active and vocal. Even then there is no guarantee of success. Though large birds, the population is quite small and fragmented, which means numbers are thin up here. We will be lucky to find a bird, and it may require some bushwhacking to get to see it, but it is an amazing sight. 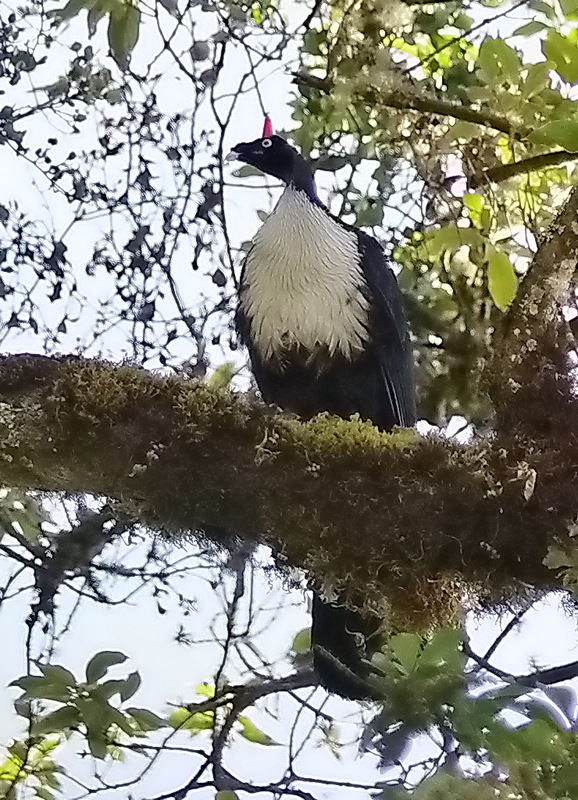 On the way down, we will also look out for some of the higher-elevation birds, like Black Thrush, Highland Guan, Golden-browed Warbler, and others. The descent is steep, so we’ll take our time, as we’ll also want to check the lower forest slopes for Cabanis’s Tanager, Swainson’s Thrush, Rufous-capped Warbler, Green Shrike-Vireo, Ivory-billed Woodcreeper, Velasquez’s, Pale-billed, and Lineated Woodpeckers, the localized Orange-fronted Parakeet, Rufous-browed Peppershrike, and many others. 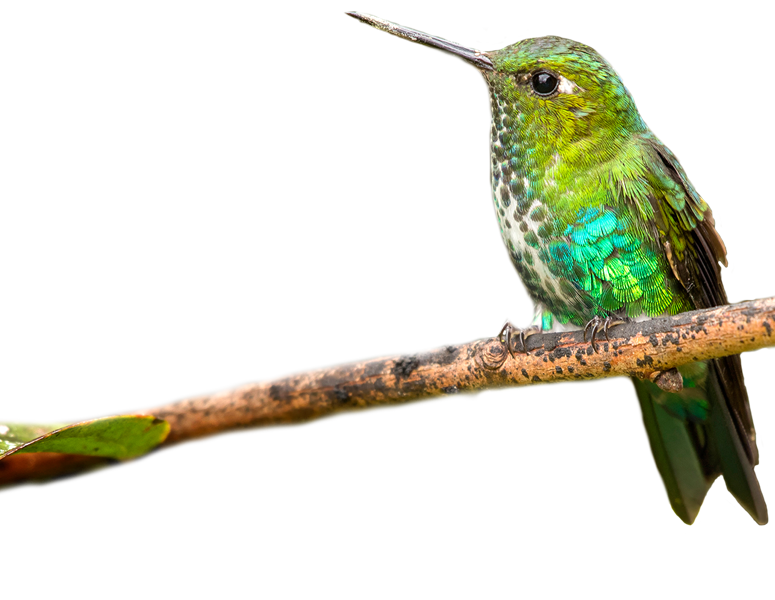 If, like many people, you choose not to torture yourself climbing a volcano, we will spend the day around the lodge birding the forests and trails of this wonderful lodge. The afternoon is free for you to check the grounds, rest up, and enjoy the scenery. We will do some morning birding around the lodge, before heading to Lake Atitlán. 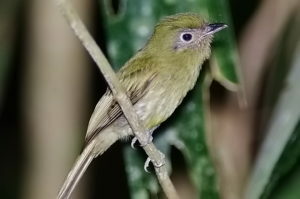 Here we will bird the dry scrub for species like Orange-billed Nightingale-Thrush, Rusty Sparrow, Squirrel Cuckoo, White-throated Swift, Black-vented Oriole, and a very localized specialty, Belted Flycatcher. 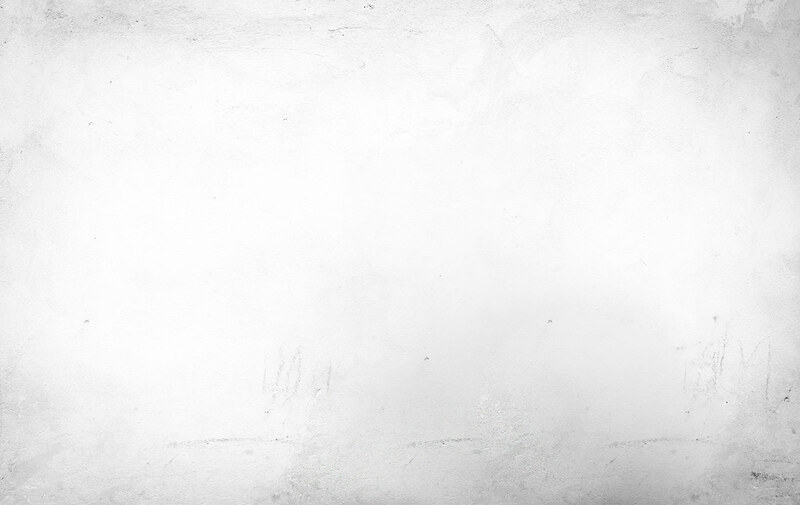 This range-restricted species is very skulking, and we will make a special effort to find it here. 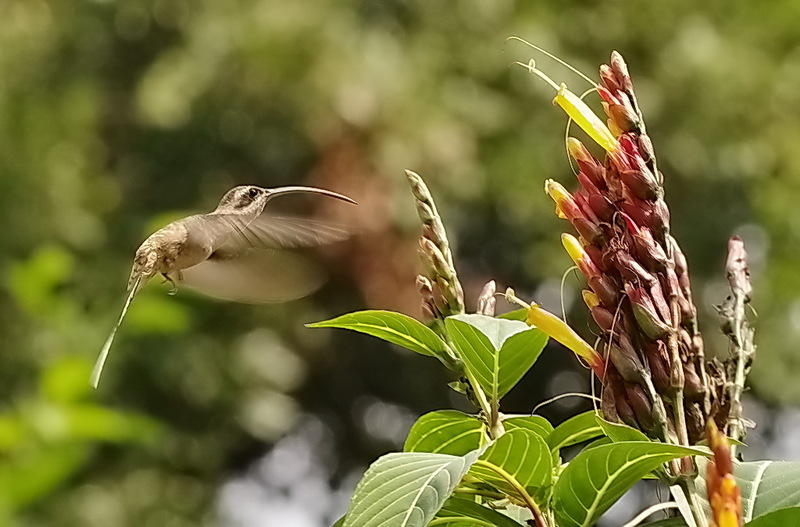 There is also a chance to visit some gardens, where we will find several species of hummingbird like White-eared and Azure-crowned Hummingbirds and Black-crested Coquette. The lake will also provide us with some waterside species like American Coot, Great-tailed Grackle, and Spotted Sandpiper. Then we will head to Guatemala City for an overnight. Today we rise early to catch a flight to Flores across the mountains and over the forest-draped slopes into the humid forest of Petén and the heart of the Mayan empire. This once was home to the greatest Mayan city, Tikal, whose ruins stand as testament to the amazing building skills of these ancient people. Upon arrival we will meet our local guides and drive into Tikal National Park to our lodge. Once we have checked in we will begin to explore the grounds around the lodge and some of the trails. 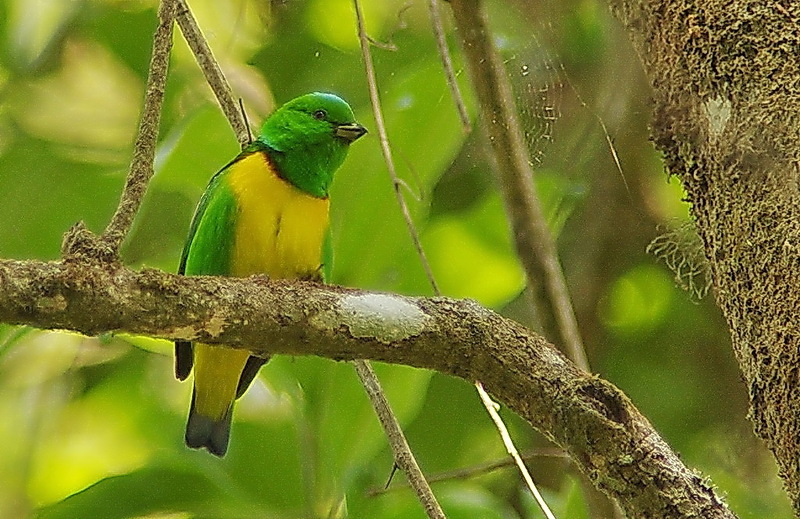 Birding in this park is quite special and unlike anywhere else on earth. We will bird the trails around the citadel, admiring the massive ruins of the amazing temples. 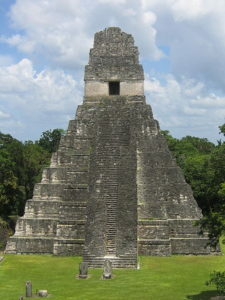 We will climb Temple IV to take in the view across the forest, and we will do some night birding. 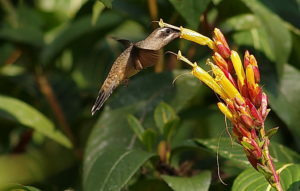 The old airstrip is also a great place to bird, and the grounds of our lodge provide some hummingbirds at the flowers. 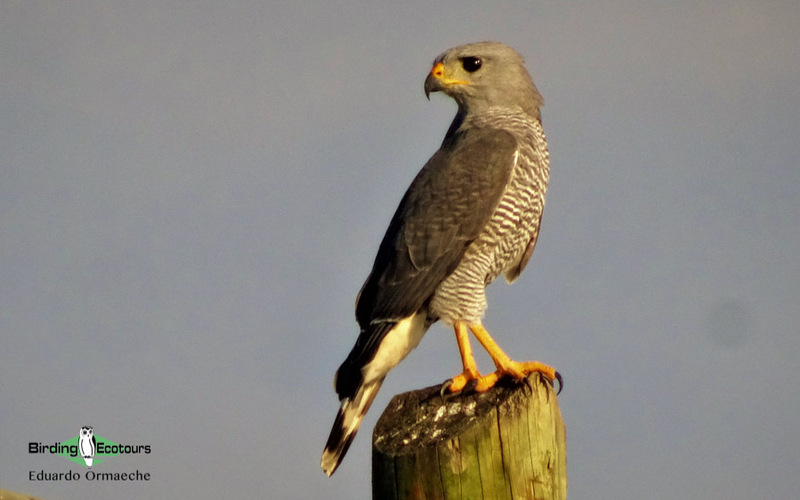 Several small lakes entice waterbirds, and not only do we get to see birds, but there are also several mammal and reptile species that are very interesting. The forest here, though, is particularly full of birds. We’ll enjoy a plethora of species like Tody, Blue-diademed, and Keel-billed Motmots, Chestnut-colored, Pale-billed, Lineated, and Velasquez’s Woodpeckers, migrant Warblers like Hooded, Worm-eating, Kentucky, and Chestnut-sided, flycatchers like Yellow-olive and Eye-ringed Flatbills, Bright-rumped Atilla, Sulphur-rumped Myiobius, Couch’s Kingbird, and Yucatan and Sepia-capped Flycatchers. Little Tinamou calls from the forest, along with other skulkers like Scaly-throated Leaftosser. Bright forest birds like Emerald Toucanet, Keel-billed Toucan, Gartered and Slaty-tailed Trogons, Red-crowned Ant Tanager, and White-collared Manakin add touches of brilliance to the verdant forest. American Pygmy and Belted Kingfishers as well as Grey-necked Wood Rail and Northern Jacana haunt the waterways, along with Mangrove Vireo. Night birds like Pauraque and Yucatan Poorwill are heard before sunrise, along with Vermiculated Screech Owl and Spectacled Owl as well as Central American and Ferruginous Pygmy Owls. 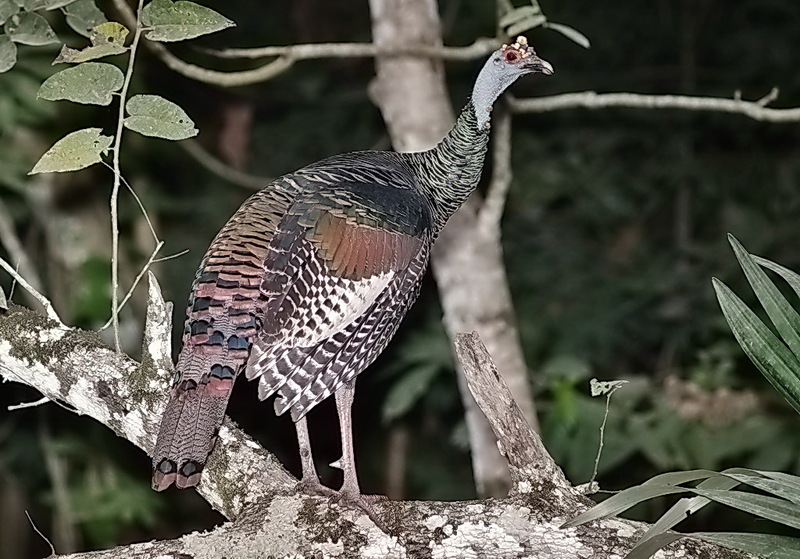 Forest-floor dwellers like Ocellated Turkey, Singing Quail, and Spotted Wood Quail could all be found. 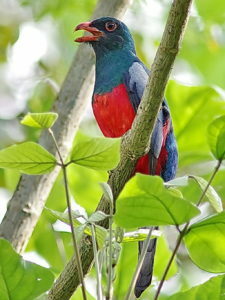 Red-lored and Mealy Amazons, along with Olive-throated Parakeet, add to the parrot list, while Pheasant Cuckoo could be an exciting find. After a last morning birding around Las Guacamayas we will be transfer to the Flores Airport to take a flight back to Guatemala City. Transfer to the airport to connect with your international flight.